JetBrains vereint mit diesem Tool die Funktionalität eines Repository-Browsers mit einem Code-Review-Tool. Mit Upsource können Entwickler ganz einfach ihren Code und ihre Repositories verwalten, teilen und im Team bearbeiten. 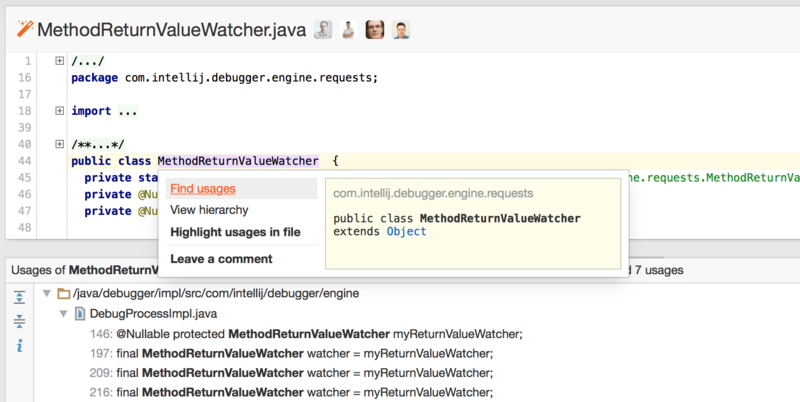 Upsource provides IDE-level code insight to help developers understand and review code changes better. Teams, both large and small, enjoy lightweight workflow for post-commit review, pull requests and branch review. Participate in discussions, @mention other users, share everything with a URL, including code, revisions, diffs, code reviews, search filters, files, and even code selections. Upsource integrates with GitHub, popular issue trackers such as JIRA and YouTrack, and CI servers. It also features IDE plugin that allows developers participate in code reviews from their IDE. Enjoy unified access to all your Git, Mercurial, Perforce or Subversion projects. Our powerful search engine lets you quickly find what you're looking for. Upsource gathers VCS usage and code review statistics, and provides a number of reports for a bird's-eye view of what's going on in your projects. Take advantage of advanced user management, granular and per-project permissions, and multiple authentication modules. Performing ad-hoc code reviews provides an opportunity to improve code quality, enhance team collaboration, and learn from each other. As Upsource does not impose any strict workflow, you can fit it into your preferred process: create a code review for a recent commit, for an entire branch, or review a GitHub pull request. 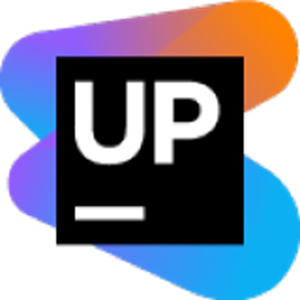 Upsource provides a unified friendly UI for exploring and monitoring all your Git, GitHub, Mercurial, Perforce and/or Subversion repositories from a central location. It retains the history of all files and discussions, effectively serving as a knowledge base for your projects. It provides instant access to any section of the repository. To help grasp the changes quickly, it visualizes the history of commits, branches and merges. When it comes to looking for specific changes, commits or reviews, Upsource offers unparalleled capabilities. Search commit history by commit message, commit ID, author, reviewer, branch, git tag, time span, filename, or path. Filter out the commit graph to focus on the most relevant parts, by searching for a specific author, commit message, file name, or VCS branch.